The interplay between fathers and sons has long been one of golf's most essential and enigmatic relationships. 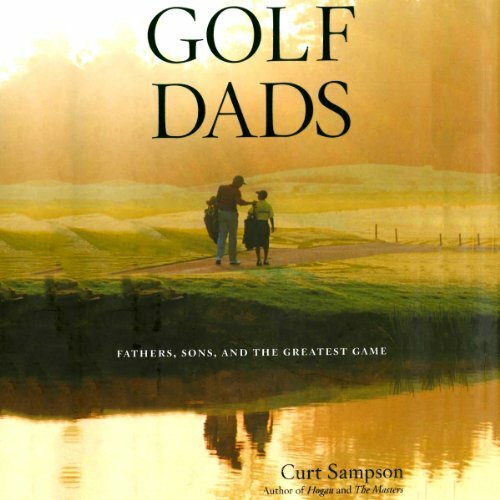 In Golf Dads, the best-selling writer and former touring professional Curt Sampson brings to life ten remarkable stories of golfers, their fathers, and the game that brings them together. The stories feature well-known subjects such as Michelle Wie, Ben Hogan, Lee Trevino, and David Feherty, as well as some surprises, such as six-year-old phenom A.J. Beechler--not yet known to the world. "This is a book about fathers," Sampson writes, "using golf as a wedge to pry open a few insights." We get up close with the embarrassing Byung Wook Wie and his talented daughter at a PGA Tour event in Pennsylvania; travel to the Mexican jungle for bogeys and butterflies with a club pro bearing his father's ashes in a black Hogan shag bag; journey to San Francisco for transplant surgery for a golf pro father from his golf pro son; feel the wonder and weight of fathering a six-year-old golfing sensation whose future is too bright to see clearly. For fans of James Dodson's Final Rounds, Golf Dads is sure to resonate with anyone who has been handed a worn club by his father or who has watched his child swing a stick at a rock and marveled at the possibilities. If you have any questions about this product by Audible Studios, contact us by completing and submitting the form below. If you are looking for a specif part number, please include it with your message.